After selecting a location and signing into the Hungry Howie's online pizza ordering system, I am again asked to select a location. It appears that my pre-login location selection was lost with login. I would select a location if there was some way to select one. Clicking the "Select Location" text does nothing. The little spinning circle indicator continues to spin, but nothing happens. I try Chrome, Firefox, and Internet Explorer: all do the same thing. There is no way to select a location for an online pizza order. I notice that my computer has become very slow. 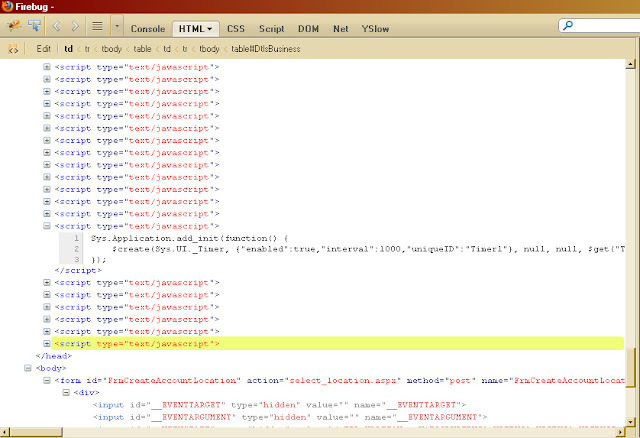 I open up Firebug to see what this page is doing. 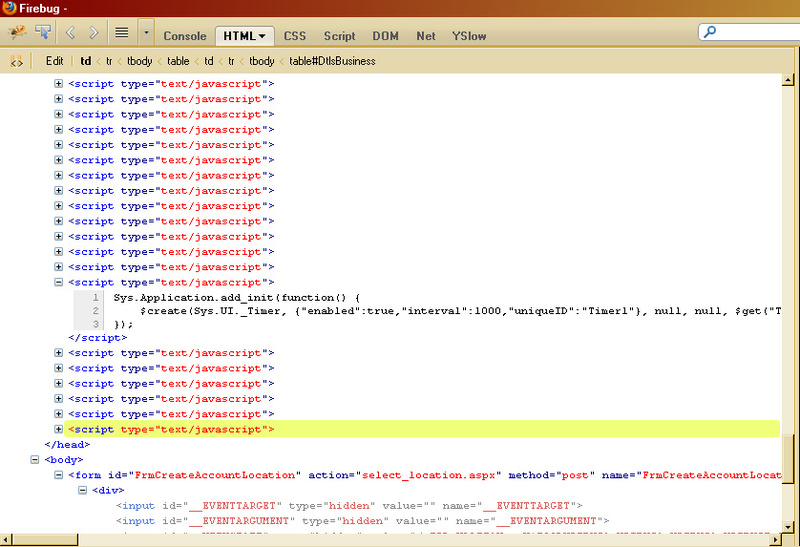 It appears that code on the web page is adding a new one-second timer to the document every second. The memory and CPU usage increase as time passes. So much for ordering pizza from Hungry Howie's. I think I'll pick up the phone and call a local non-franchise pizzeria. Some things are better not automated by computers.